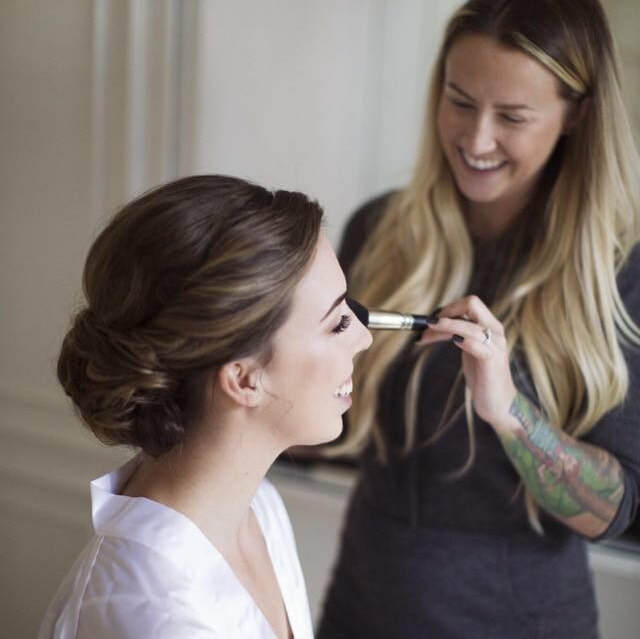 I am so thrilled that you have considered me as the beauty go-to for your big day! Having served hundreds of clients in both the Mid Atlantic region and now Central Florida, I am confident in my ability to deliver your ideal look no matter what your style is! I am committed to delivering exceptional service, which is reflected in my five star reviews as well as my Wedding Wire Couple's Choice Awards for 2017, 2018 and 2019. After spending eight years working for MAC Cosmetics, I decided to leave my role as an operations manager to focus on my core passion. Being an artist at heart, I am dedicated to furthering my creative skills and education. Some of my makeup certifications include tattoo camouflage, false lash application, makeup lesson, theatrical/fantasy/drag, and beauty makeup. My work has been published in Family Circle Magazine, Aisle Society, Vogue Italia online, Ellements Magazine, and See.7 Magazine. You can also see my work featured on author and creator of The Simplified Planner Emily Ley's Instagram feed and in the upcoming horror film "Buckets of Blood!" I am constantly striving to stretch the boundaries of my creativity while providing my clients a high quality professional service. I believe that delivering diverse hair and makeup styles in a professional, free flowing manner is truly an art form and I have dedicated my time to perfecting my art. I am confident that you will be more than pleased with not only your look, but the experience I offer. I will make you look and feel beautiful, and we will have fun doing it!